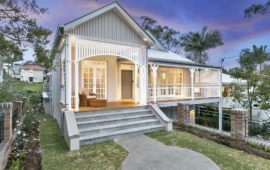 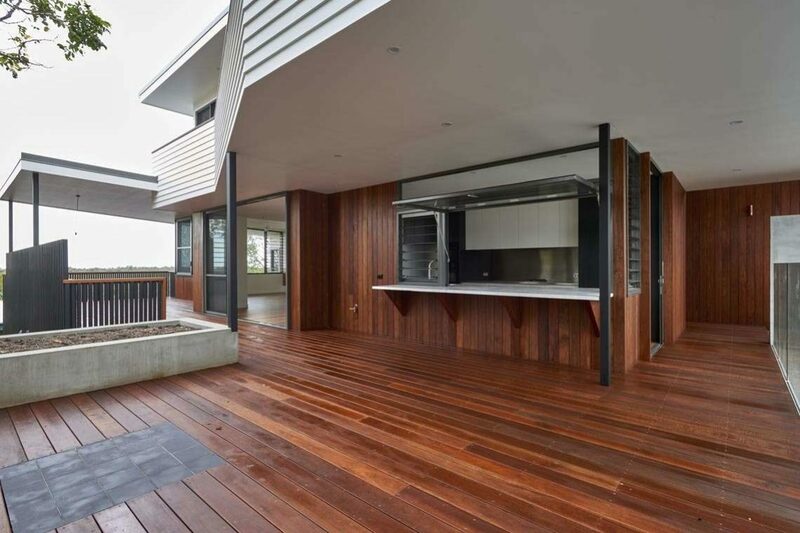 Situated in relaxed Byron Bay, this immaculate dual residence perfectly blends with the natural beauty of its surrounds with use of extensive timber work. 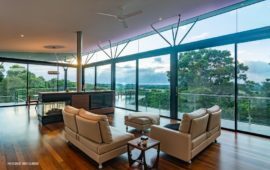 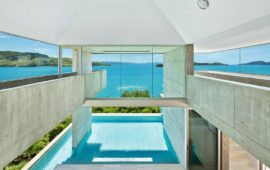 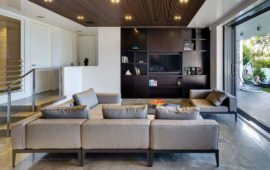 At the highest elevation, corner 618 stacking doors in the Sunset Room provide expansive sea views of The Pass and nearby Clarkes Beach made possible by a cantilevered steel beam. 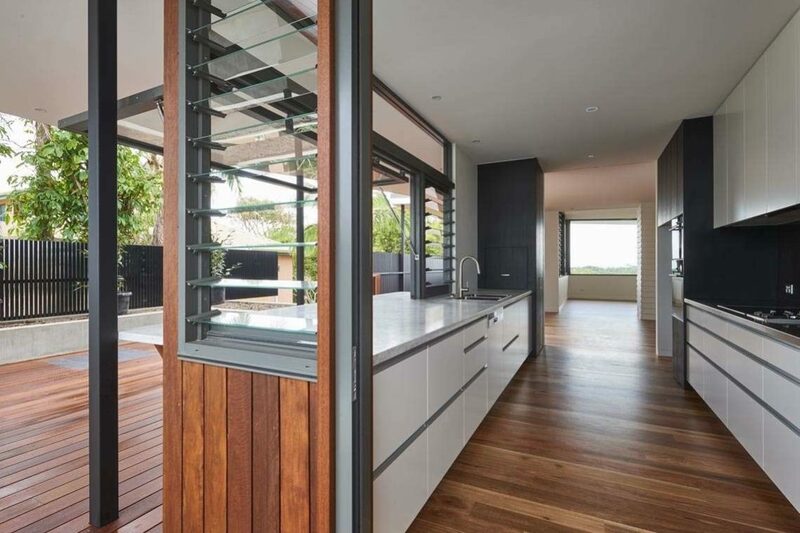 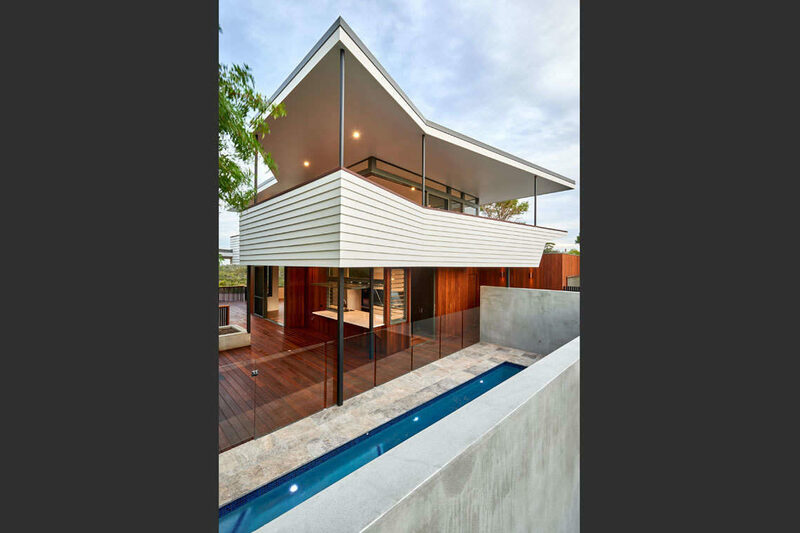 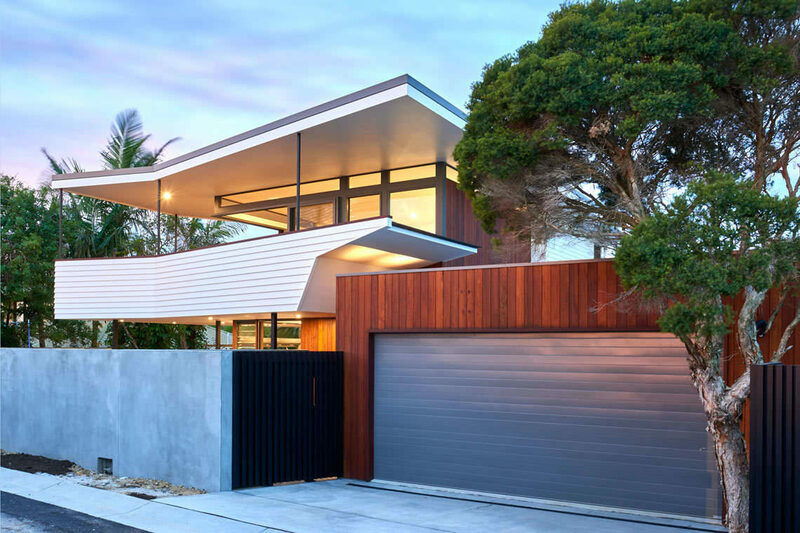 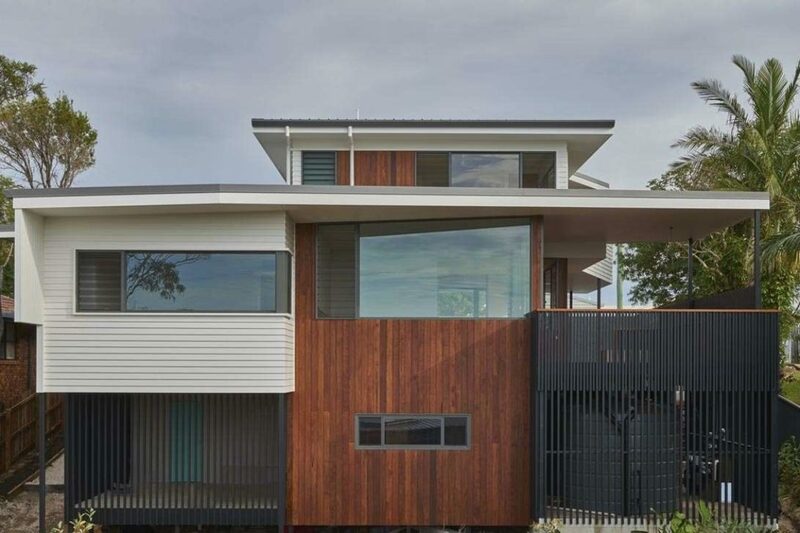 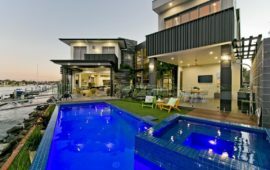 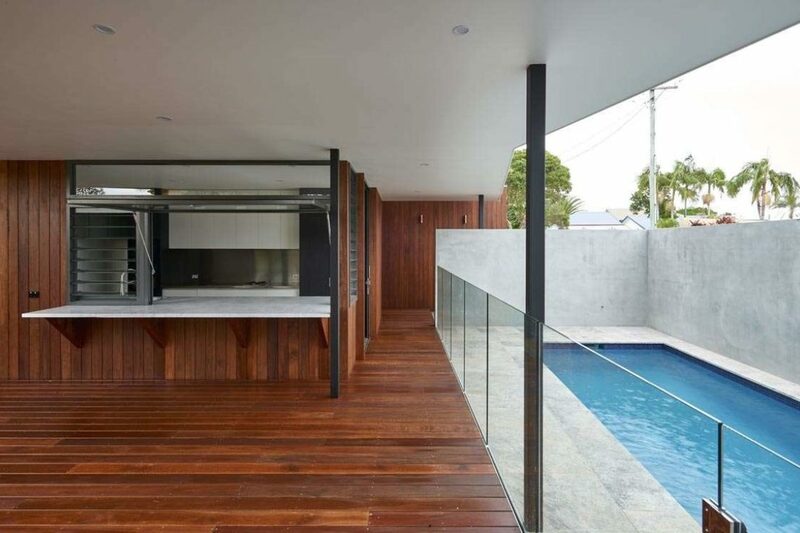 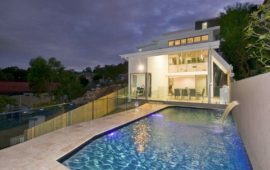 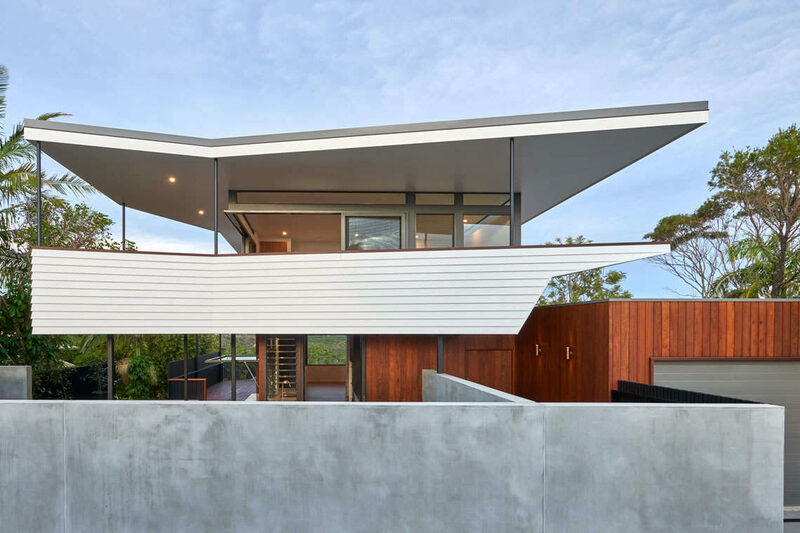 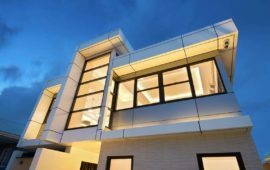 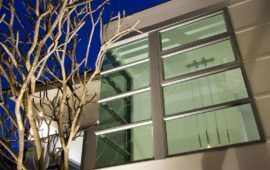 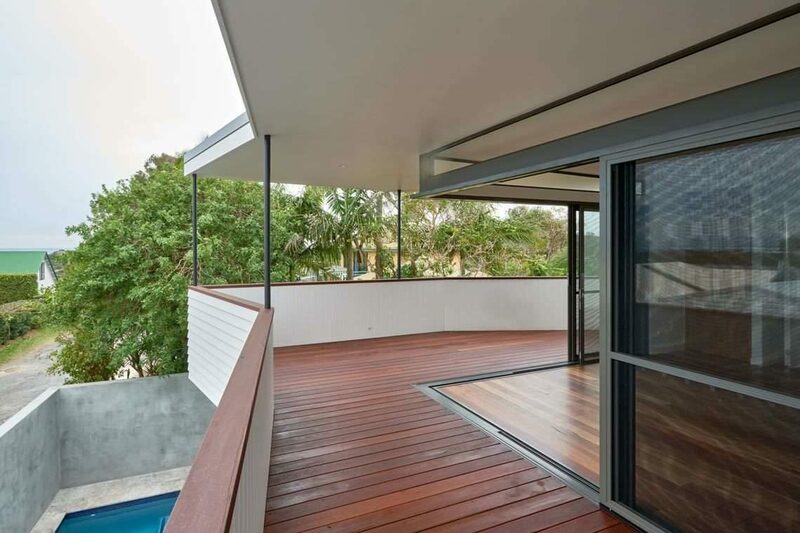 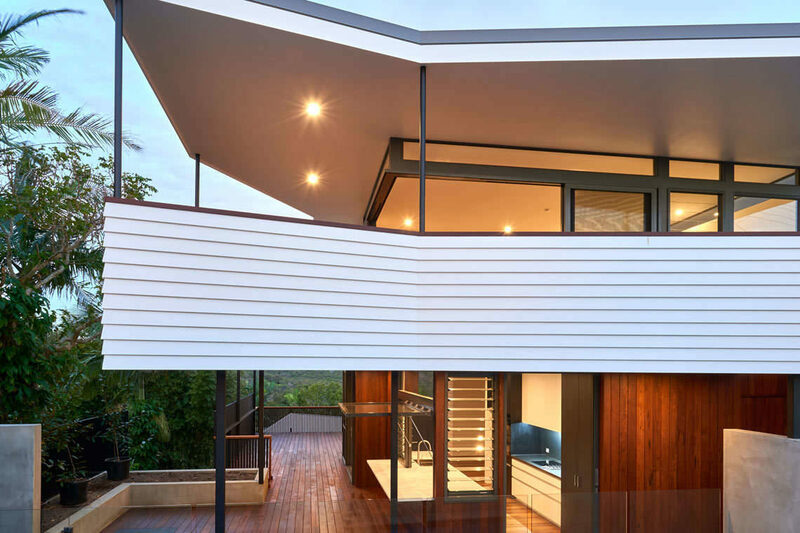 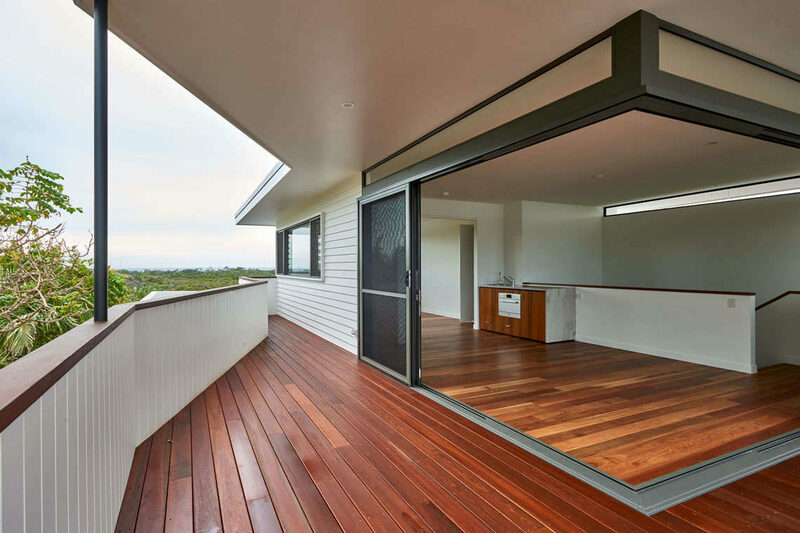 316 Marine-grade stainless-steel ICON hardware on the doors and the use of insect screens throughout will meet the demands of the coastal environment as well as bush-fire requirements. 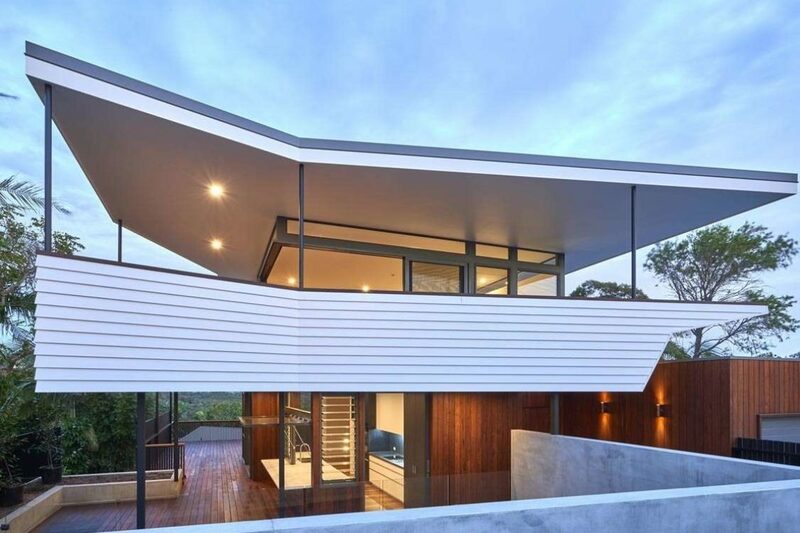 516 fixed window highlights on the upper level incorporate a slightly raked head to follow the unique inverted roof design and continue the luminosity provided by the glazing as it merges into the ceiling with a minimal sight line. 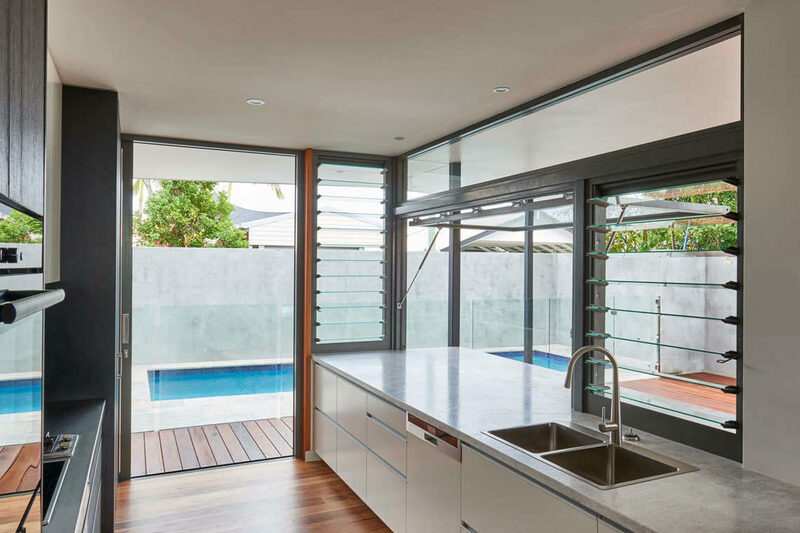 525 louvre modules and louvre-fixed coupled windows are used throughout the rest of the house to maximise ventilation by harnessing sea breezes to the desired amount. 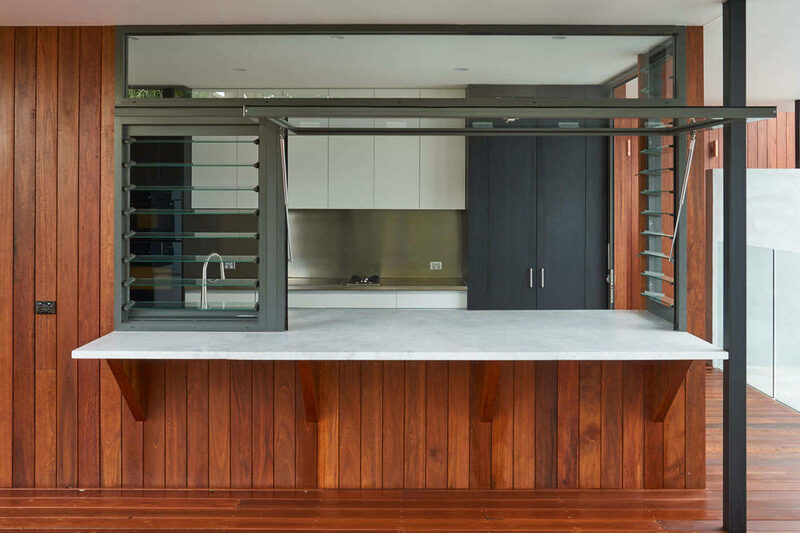 An impressive 2.4m wide Gas-strut specialty window is positioned over the extended stone bench-top to create a servery between the kitchen and entertaining area on the lower deck. 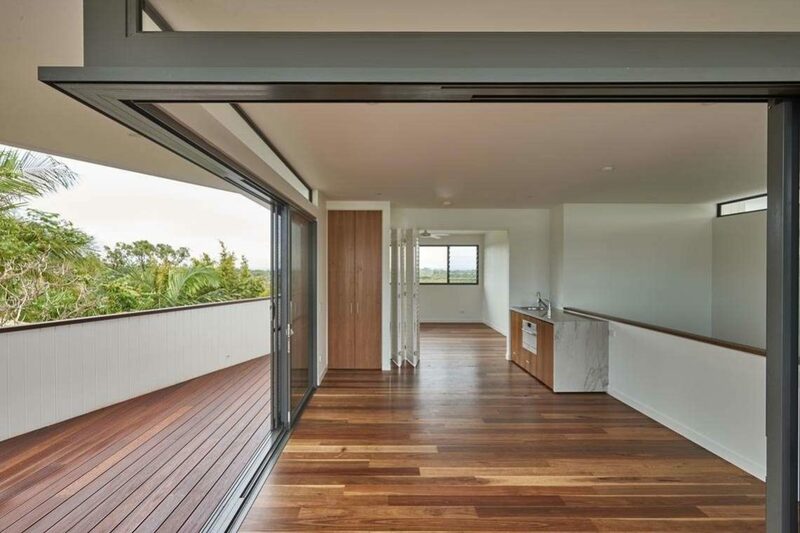 A single-panel 704 configured as a cavity door provides extra space by clearing the thoroughfare from the kitchen to outside area.